Okay, I am giving you a way out if you need it. Some people have already had it with the news about the Royal Wedding, how is that possible? 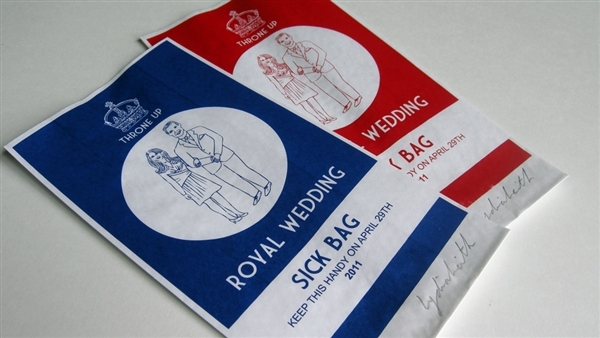 I’m not sure because my Princess Di obsession is really beginning to kick into overdrive, but for those of you who just can’t take it anymore – I offer you the Royal Wedding Sick Bag. For the times you need to throne up…. haha. Hey, I didn’t make up that bad joke, it’s on the bag … and will be IN the bag too.